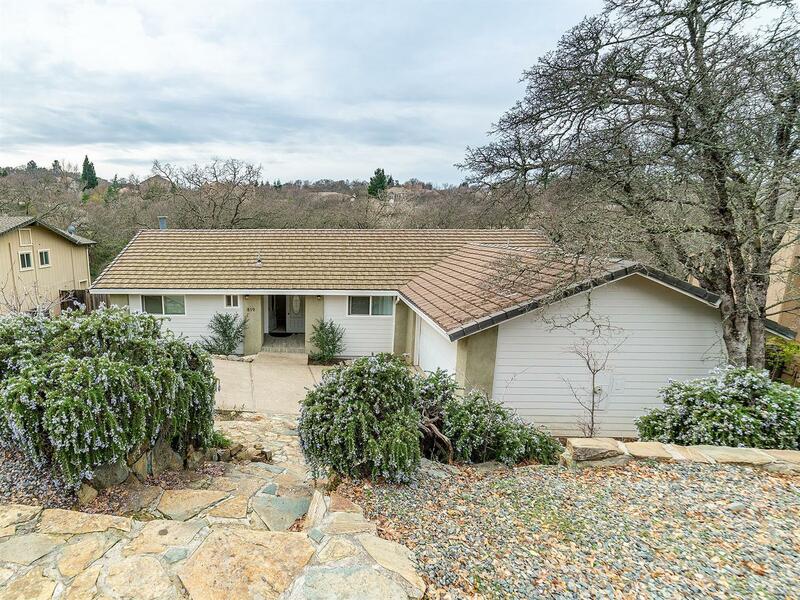 Charming SINGLE STORY home located in the heart of El Dorado Hills. Lots of natural light throughout w/all NEW PAINT and CARPET! Entertain on the newer composite deck over-looking the serene oak trees & creek below! Surrounded by NATURE yet close to everything. Kitchen opens to Family room with cozy GAS FIREPLACE. Upgraded Windows, remodeled Kitchen w/self-closing cabinets/drawers, gas cooktop and granite. Gas water heater, updated Mstr shower. Move-in ready w/clear pest! No Mello Roos or HOA's!